Rancho del Oso is the ocean end of Big Basin Redwoods State Park. 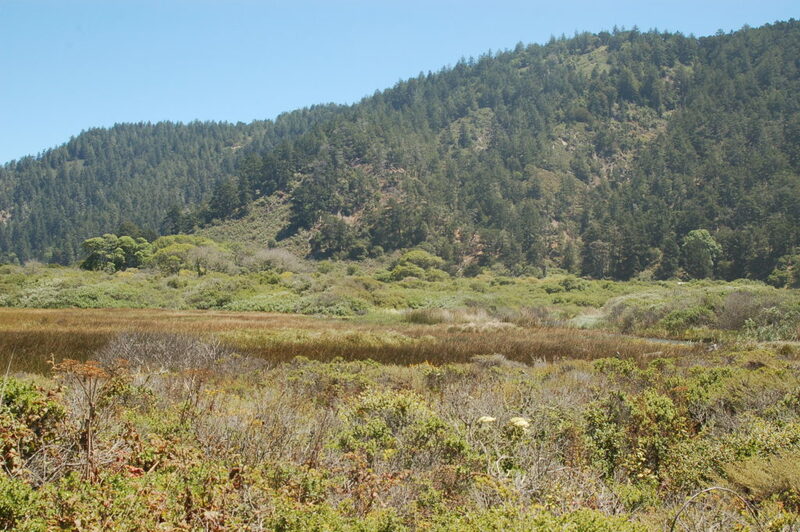 It offers a variety of recreational opportunities, including hiking, biking and horseback riding on Canyon Road, a six-mile graded dirt fire road that meanders along Waddell Creek. 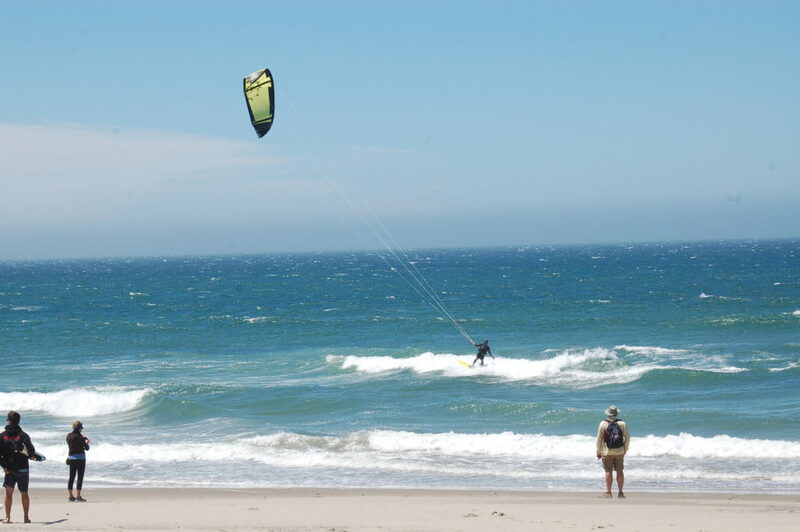 Waddell Beach, located across Highway 1 from the park entrance, is known worldwide as one of the spots for windsurfing and kite surfing. The steady strong northwest winds and good surf provide ideal conditions for this demanding sport. Learn more in the California State Parks brochure. Drive north from Santa Cruz on Hwy 1 for 17 miles to the Waddell Creek Bridge. Parking is available on both sides of the highway. By Bus: Take Santa Cruz METRO route 40 from Santa Cruz. 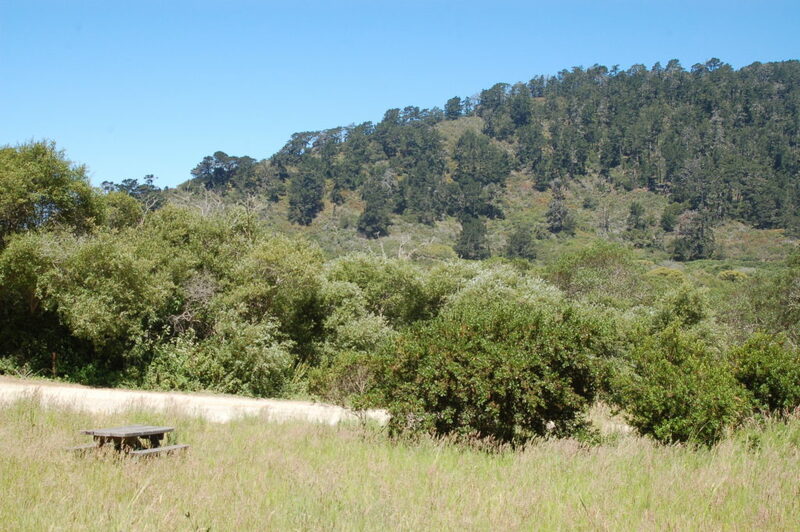 Miles of trails, including the Skyline to the Sea Trail, link Waddell Beach/Rancho del Oso to Big Basin Redwoods State Park. Bikes are permissible on the fire road. Launching from the tops of incoming waves the best windsurfers can complete full loops and continue on their way. With the strong winds and occasionally heavy surf, Waddell Beach is not recommended for novice wind surfers. Regular surfers and boogie boarders also find it an ideal spot to pursue their activities. The Theodore J. Hoover Natural Preserve is great for birders. The Marsh Trail is teeming with life. Rabbits are frequently seen scurrying off the trail, while dragonflies swoop over the water, and birds flit among the willows growing near the creek. Due to the abundance of water, flowering plants have an especially long season here. Horses are allowed on trails marked with horseshoes. There also is a horse camp in Rancho del Oso. The Nature and History Center features interactive exhibits sharing the wonders and diversity of the Waddell Valley. 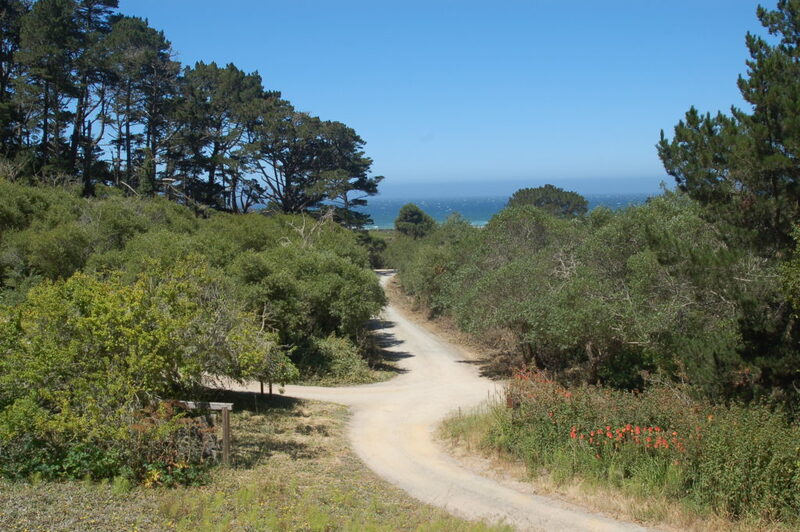 Turn right before the Waddell Beach parking lot, you’ll see a sign marked “Rancho del Oso Nature and History Center.” The Nature and History Center is open 12-4 p.m. Saturday and Sunday or by advance appointment for groups. There is also an Equestrian Trail Camp that allows riders to camp overnight with their horses. Reservations are required for the horse camp; call 831-. 338-8861. Fees apply. Field trips are offered weekdays from 9:30 a.m. to 1:30 p.m., and are best for groups of 10 to 24 students. Large groups can be accommodated dividing the class for different activities. Email parksrdopis@nullparks.ca.gov or call (831) 427-2288 to learn more and make a reservation. Rancho del Oso is a site rich in cultural and natural history. The area was frequented by Native Americans (most likely the Awaswas clan of Ohlone Costanoan), who managed the land in order to benefit from the bountiful landscape and encourage the proliferation of game. In 1912, Theodore Hoover (Dean of Engineering at Stanford and brother of President Herbert Hoover) bought a majority of the Waddell Valley from more than a dozen small land owners. Hoover built the “Brown House” in 1913 as a family vacation house (a role it still serves) and named his holdings Rancho del Oso. In 1925 he built a large Spanish-style residence, the “Casa,” for his family across the creek from the Brown House. Although the Casa was destroyed by fire in 1959, several of Mr. Hoover’s heirs still have residences at Rancho del Oso. 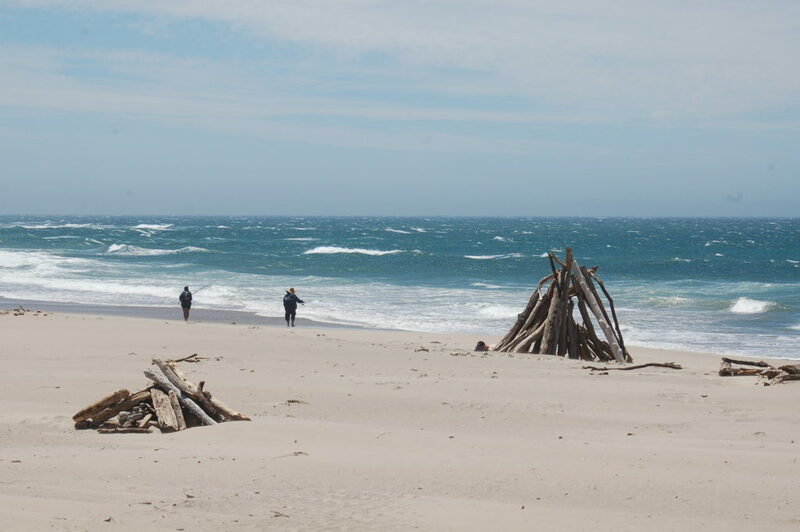 California State Parks acquired approximately two-thirds of the original Rancho del Oso land including Waddell Beach, from Hoover’s daughters, in 1977. This enabled the completion of the Skyline-to-the-Sea Trail. In 1985 Hulda Hoover McLean sold her personal residence and its 40-acre lot to the Sempervirens Fund, intent on creating a place to share the wonders of the natural world with others. After some minor renovations, it was passed on to California State Parks for use as the Rancho del Oso Nature and History Center. She was very active in organizing the Waddell Creek Association, which helps support the volunteer and educational programs at Rancho del Oso, and served on its board of directors well into her 90s. She died in 2006 at the age of 100. No single track trails are open to bicycles at Rancho del Oso or the main portions of Big Basin State Park. Dogs are not allowed in any portion of Rancho del Oso or in the horse camp at any time. Permits are required for camping.